How do I contact you about a school booking? Can I donate an animal to the aquarium? How do I contact your Marketing and Press team? I would like to contact your Private Hire / Events team. Where can I find out more information about Merlin's Magic Wand? Please highlight ‘for the attention of marketing’ in the contact us form here and the team will come back to you as soon as possible.  Can I propose to my partner at SEA LIFE Birmingham?